B.E – Mechanical Engineering, Second Year 4th Semester ME6401 Kinematics of Machinery Previous Year Question Papers For The Regulation 2013. (Note: This Is The Only Site, Where You Can Download The Previous Year Anna University Question Papers In PDF Format With Good Quality And With Out Any Water Marks. To understand the basic components and layout of linkages in the assembly of a system/machine. To understand the principles in analyzing the assembly with respect to the displacement, velocity, and acceleration at any point in a link of a mechanism. To understand the motion resulting from a specified set of linkages, design few linkage mechanisms and cam mechanisms for specified output motions. 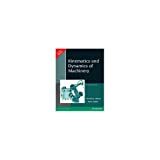 To understand the basic concepts of toothed gearing and kinematics of gear trains and the effects of friction in motion transmission and in machine components. Classification of mechanisms – Basic kinematic concepts and definitions – Degree of freedom, Mobility – Kutzbach criterion, Gruebler’s criterion – Grashof’s Law – Kinematic inversions of four-bar chain and slider crank chains – Limit positions – Mechanical advantage – Transmission Angle – Description of some common mechanisms – Quick return mechanisms, Straight line generators, Universal Joint – rocker mechanisms. Displacement, velocity and acceleration analysis of simple mechanisms – Graphical method– Velocity and acceleration polygons – Velocity analysis using instantaneous centers – kinematic analysis of simple mechanisms – Coincident points – Coriolis component of Acceleration – Introduction to linkage synthesis problem. Classification of cams and followers – Terminology and definitions – Displacement diagrams –Uniform velocity, parabolic, simple harmonic and cycloidal motions – Derivatives of follower motions – Layout of plate cam profiles – Specified contour cams – Circular arc and tangent cams – Pressure angle and undercutting – sizing of cams. Law of toothed gearing – Involutes and cycloidal tooth profiles –Spur Gear terminology and definitions –Gear tooth action – contact ratio – Interference and undercutting. Helical, Bevel, Worm, Rack, and Pinion gears [Basics only]. Gear trains – Speed ratio, train value – Parallel axis gear trains – Epicyclic Gear Trains. Surface contacts – Sliding and Rolling friction – Friction drives – Friction in screw threads –Bearings and lubrication – Friction clutches – Belt and rope drives – Friction in brakes- Band and Block brakes.